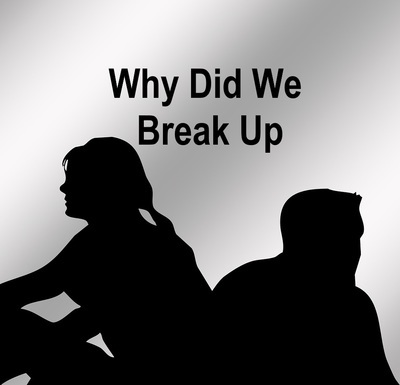 Have you ever been in contact with an ex and had him ask you, totally clueless, 'Why did we break up?' You were the one who ended it and it seems he honestly has no idea why. The reason may have been a major one like abuse, substance abuse or gambling. Or, well he did cheat, perhaps more than once and no, you don't want to give a relationship with him another go. Perhaps, over a period of time you realised the relationship was making you miserable. He never realised. 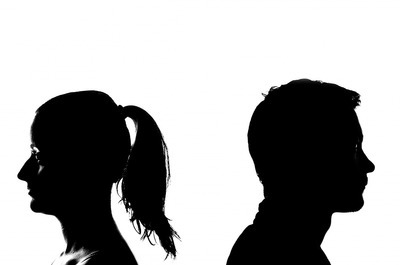 Isn't, 'I was miserable and you never noticed,' a reason to break up? It may have been something that seemed minor to your ex, in fact he never realised. It may have been a collection of habits or repeated events. Perhaps these can be grouped under a heading such as 'Poor communication', 'Conflict' or 'Self Centred'. He didn't realise/understand how important family are to you. This could be your own family, parents, siblings, cousins etc. It could be that you wanted children and he didn't. He didn't have any interests or hobbies of his own and always expected you to entertain him. Yes, he was boring. He put mates and his own interests before you. You were an afterthought in his life. When things didn't go his way he sulked and wouldn't talk to you. He let you down, repeatedly. He arranged to see you. You got dressed up and were looking forward to being with him and he never showed. The next day there may not have even been an apology. He was always criticising your friends. He didn't like your dog/cat which is just a variation of the previous point. He loved his dog/cat more than he cared about you. He loved his car/bike more than he cared about you. He frequently interrupted you or changed the topic. He didn't want to hear what you did during the day. He took you for granted. He wanted to change you. He was so tactless and had no idea why you felt hurt. “But babe you would look better if you lost 20kg,” he said, eating another handful of hot chips. He was too clingy, didn't want you to catch up with your girlfriends or do any activities without you. He liked to tease you in ways you found hurtful and wouldn't stop when you told him how it made you feel. He thought it was funny to play with your emotions. You didn't know when he was telling the truth and when he was lying. He told so many untruths you wondered if he knew when he was lying and when he wasn't. So much doubt. So little reason to trust. The list goes on. There could have been one deal breaker, often lots of little things. You may have fallen out of love or realised you never did really love him. Perhaps you were so bored when you were with him you couldn't wait to get home and do something interesting, like, um, the washing. Yes, the relationship had no spark. Sometimes a guy has no idea why you ended the relationship, even if you explain. Sometimes he thinks he has another chance. After a while you may wonder if you did the right thing breaking up. Instead of jumping straight in, make a list of the positive and negative points of the relationship. It will help you get the situation in perspective. You may end up asking yourself why you stayed with him as long as you did.